Masons played a critical role in shaping Missouri’s early history. 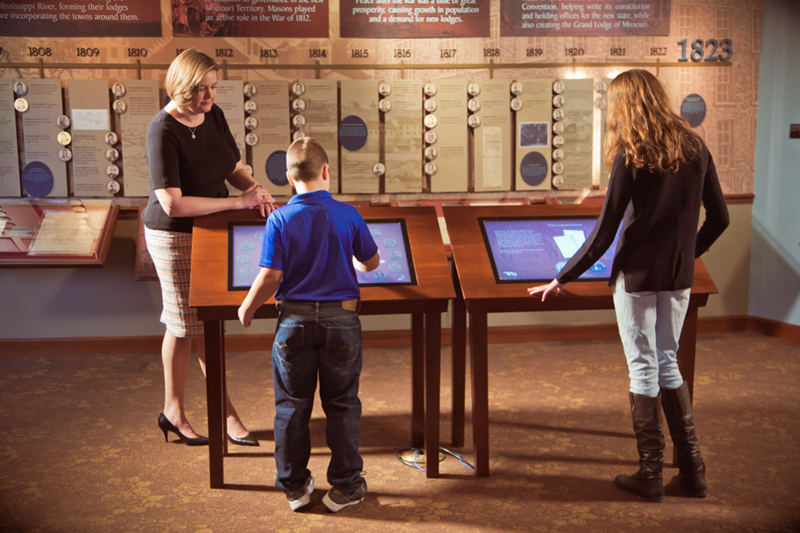 This interactive exhibit tells the story of the formation of the state of Missouri and the Grand Lodge of Missouri through the Masons that helped create both. There are artifacts on display from the three lodges chartered by the Grand Lodge of Tennessee that would come together to create the Grand Lodge of Missouri—Missouri Lodge No. 12, Joachim Lodge No. 25 and St. Charles Lodge No. 28. Harry Truman was an avid poker player. As Judge Truman, he played in the Harpie Club in Kansas City. Pres. Truman would later play poker with friends at the 822 Club in downtown Kansas City. Truman was given playing cards with his signature along with poker chips containing the symbol of the president on one side and his initials on the other. 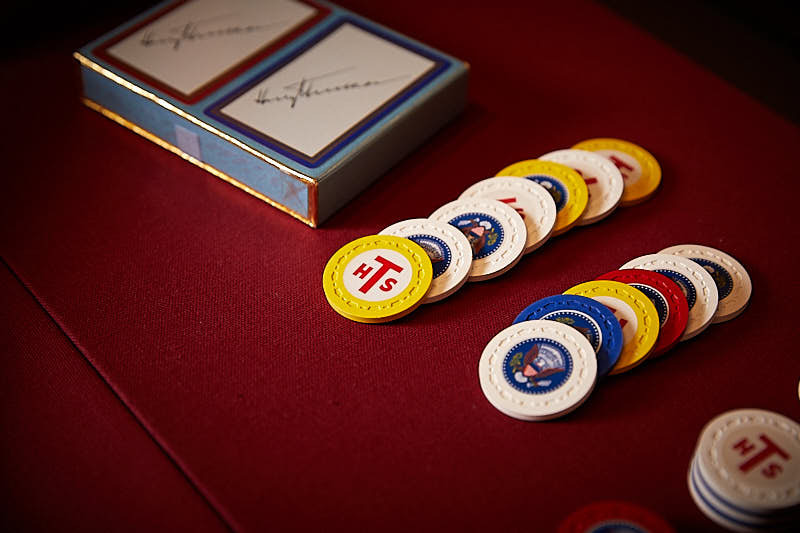 The playing cards and poker chips are part of a display of items from the Truman homestead on loan from the Truman National Historic Site Collection. Laura Ingalls Wilder was one of 25 Charter members of Mansfield Chapter No. 76, Order of the Eastern Star. Sister Wilder is best known for her popular children’s books, the Little House on the Prairie series. 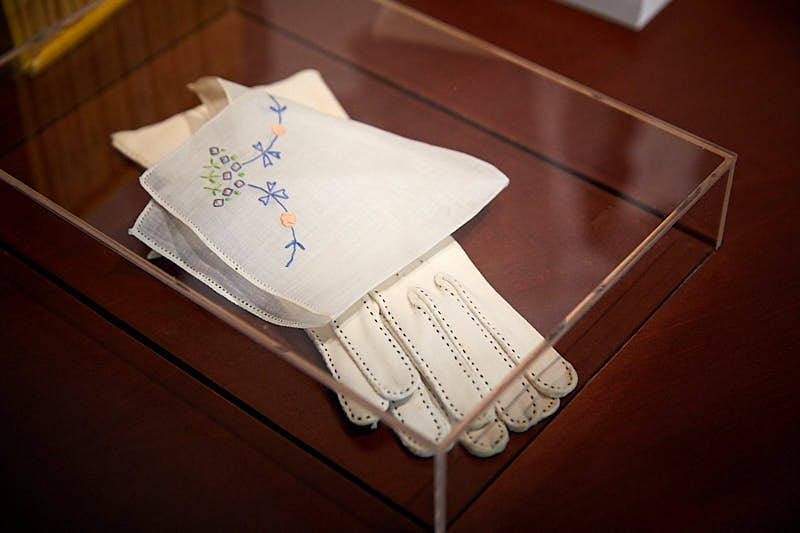 The Laura Ingalls Wilder Historic Home & Museum in Mansfield graciously loaned the Masonic Home a pair of Wilder’s gloves and an embroidered handkerchief from its collection.